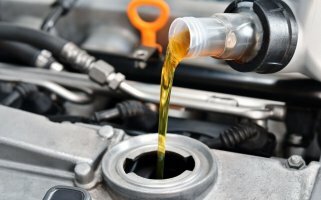 Full service fast oil change and lube with a long history of providing this much needed auto service to the Eastern Shore. Two bays and a very bright and clean waiting room. This is not a franchise and you will not have to pay any royalties. Very visible and is located on a busy 4 lane highway with a very high traffic count. The business is also near one or the largest residential developments in Alabama. The services includes: regular oil and synthetic oil changes, filters for the cabin, fuel and engine, transmission fluid exchange, front & rear differential service, whipper blades, batteries, headlight cleaning and replacement, all belts, pvc valves, tire pressure and much more. The pricing is very competitive and with the many coupons and specials they are usually better than any close competition. This is the area U Haul representative with plenty of trucks and trailers on site. The business has been operated by an absentee owner and is more suited for an owner/operator that could increase sales and profits by have a more interested and enthusiastic service manager on site. Some mechanical knowledge and ability will be needed. Some Seller financing is available for an approved and acceptable Buyer with 50% down. Great opportunity to own and run a business near our beautiful Gulf Coast.